Labour MP Stephen Kinnock has called on his party's general secretary to look into the behaviour of a senior Welsh party figure. Darren Williams issued a statement on behalf of the Welsh Labour Grassroots pro-Corbyn group defending suspended Labour MP Chris Williamson. The Derby North MP said Labour had been "too-apologetic" over anti-Semitism. A WLG spokesman said Mr Williams had not made a public statement on the matter. Mr Williams - a staunch supporter of Jeremy Corbyn and Welsh First Minister Mark Drakeford - emailed the statement to colleagues earlier this week. Derby North's Mr Williamson was suspended from the party, pending an investigation, after the remarks came to light. The MP said he regretted the comments. Welsh Labour Grassroots (WLG) - the Welsh version of the pro-Corbyn Momentum faction of Labour - said his comments were "surely well within the scope of legitimate debate" and that Mr Williamson's suspension was "unfair and unnecessary". Aberavon MP Stephen Kinnock sought advice from Jennie Formby on whether there are grounds for disciplinary action against the group's secretary "because political interference in political disputes is not allowed." 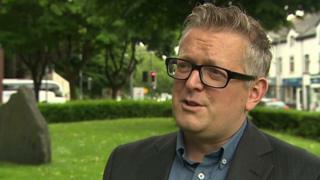 Welsh Government Health Minister Vaughan Gething said the Welsh Labour Grassroots stance was "staggering". 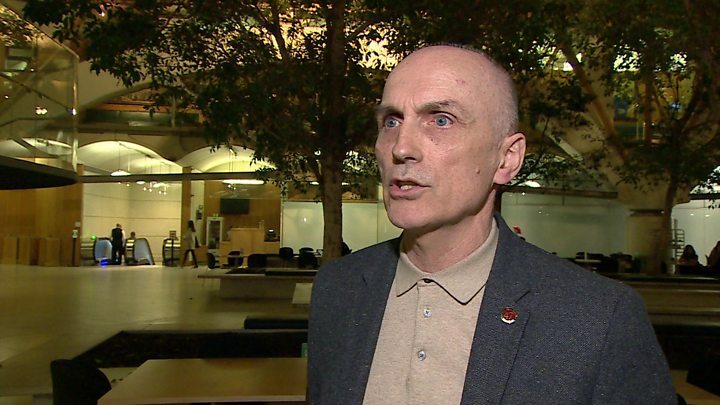 In the statement, the group said there was "no justification for suspending Chris Williamson". It called for his suspension "to be ended and the whip restored". Mr Williamson's comments had been misinterpreted by Labour politicians and the media, the WLG claimed. Rather than suggesting that Labour has apologised too readily to people in the Jewish community, WLG said Mr Williamson was "seeking to argue that Labour politicians have often been too quick to accept questionable claims about the scale of the problem". "WLG remains implacably opposed to anti-Semitism, along with all other forms of racism, such as Islamophobia, and bigotry and prejudice of any kind," the statement said, saying the group offered "unconditional solidarity to all those who encounter such hatred". All cases of anti-Semitic abuse should continue to be dealt with through the party's procedures, WLG said. But the public discussion on the issue "often militates against the kind of frank and serious discussion needed to develop effective solutions", the statement added. In response, several Welsh Labour MPs expressed concerns over the role of Mr Williams, who is a representative on Labour's ruling body the National Executive Committee (NEC) as well as the Welsh Executive Committee (WEC). The MPs said it was worrying that such a senior figure in the party is commentating on a live investigation, and think distributing material critical of an ongoing investigation is incompatible with his role on the NEC. Senior Welsh Labour sources believe Darren Williams should consider his position on the NEC and WEC, with one suggesting he has abused his position on both bodies. It is understood that the statement was agreed by the 28 members of the WLG steering committee and he sent it to members in his role as the group secretary. Labour's General Secretary Jennie Formby has warned constituency parties, the NEC and other Labour Party bodies that disciplinary cases against individuals are confidential and should not be discussed. Felicity Evans, BBC Wales political editor, said the WLG statement would appear to contravene this instruction. In response, a WLG spokesman said the statement had been a collective one which had been unanimously agreed by the steering committee, and said Mr Williams had made no public statement about the issue. Welsh Labour Grassroots supported Mark Drakeford's bid to become Welsh Labour leader in last year's leadership contest, while the group has consistently supported Jeremy Corbyn's leadership of the Labour Party. A Welsh Labour spokesman said: "As the First Minister of Wales and the leader of Welsh Labour Mark Drakeford has said on many occasions, there is no place for anti-Semitism in Welsh Labour or in Wales."